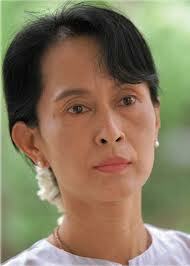 Aung San Suu Kyi is the international face of Burma and a global icon of courage, endurance and moral authority. But as Guy Horton reports from Burma, she is now actively colluding with the Burmese military’s violent campaigns against minority ethnic and religious groups. I therefore take exception to being shelled by an army now being aided by the British government on the recommendation of the world’s democracy and human rights icon – Aung San Suu Kyi. I take further exception to the naivety, or cynicism, of The Elders, the Carter Centre, the Myanmar Peace Centre and Uncle Tom Cobley and all calling for ‘peace’, without the essential preconditions of a real peace in this multi-ethnic, multi-religious country: a democratic and federal Constitution. Questions must now be asked about Daw Aung San Suu Kyi’s position – because what she is saying and doing seems to transcend mere evasiveness. It includes, amongst other things: apparent denial of ethnic cleansing of Muslims in Rakhine State; implicitly blaming Muslims for the violence because “global Muslim power is very great”; through her silence in the face of atrocity, passively condoning Buddhist hate speech; equation of the suffering of Buddhists with that of Muslims; sustained disregard of the violations inflicted on the Christian Kachin; encouragement of military collaboration between the British and the Bamar army that is responsible for repeated and multiple crimes against humanity; and condoning the army’s actions by sharing the podium with the generals on March 27, ‘Union Day’. Her easiveness has now degenerated into complicity with the military-controlled government and its ‘Burmanisation’ policies, to shoehorn the multiple ethnicities of Burma into a single national identity. This does not appear to be naivety. It appears to be a deliberately chosen political policy. She appears to be doing the one thing no responsible politician in a volatile, multi-racial society should do: playing the race card to gain votes. Such criticism is expressed with the greatest reluctance and deepest sadness. Aung San Suu Kyi has shown such noble grace and indefatigable courage under pressure that she has deserved and needed unqualified support. Through the long years of the world’s indifference, I and others supported her without reservation, even while organisations like the International Crisis Group produced cleverly nuanced misrepresentations implying she was inflexible, stubborn, and irrelevant. In short, it appeared the candle of hope was being quietly snuffed out no matter how hard we worked to keep the flame burning. But now, in entirely new circumstances, candid questions must be asked. We are now no longer dealing with a vulnerable woman under house arrest, but with a freed global icon who may become Burma’s next President, or Vice-President. The situation demands objective scrutiny and searching questions, not cult-like obsequiousness. Why, 23 years after the 1990 election, has she not followed in her father’s footsteps and appointed a multi-ethnic, multi-religious, shadow cabinet? Remember: a Christian Karen and a Muslim Cabinet Minister died with Aung San when he was assassinated. Why did she endorse the Letpadaung land grab by the Chinese Wanbao mining company, and a Burmese military holding company? And in so doing, confirm the Constitution’s denial of the right of the people of Burma to securely own property? Why does she travel the World? Yet refuse to visit Rakhine and Kachin States where some 250,000 people have been terrorised out of their homes since her release and the ‘democratic transition’ began? “To stay neutral between an aggressor and a victim is to side with the aggressor”, she is reported to have said. Her comments, equating Buddhist with Muslim suffering while disregarding that of the Christian Kachin, appear to do just that. In so doing she has become alarmingly close to being the military controlled government’s complicit apologist. A single visit by Aung San Suu Kyi, accompanied by the world’s media, to an internally displaced Rohingya or Kachin camp could have transformed perceptions of modern Burma around the world. We need to stand back and see Burma’s ‘peace in our time’ in a wider historical and geographical context. Governments may be making the same mistake they made in places like Iraq and Indo-China: implementing policies based on an inadequate understanding of the cultures and dynamics of the peoples of those regions. Diem and Chalabi did not represent Vietnam or Iraq. Aung San Suu Kyi – born from the Bamar elite, educated in a Methodist English school in Rangoon until the age of fifteen, and who then lived abroad until the age of 44 – should not be the single prism through which the world sees Burma. The global media’s infatuation with Aung San Suu Kyi, and its wilful misrepresentation and endorsement of Burma’s fatally flawed political process, has done incalculable harm to hopes of a genuine democracy ever being realised. With Aung San Suu Kyi and much of the ethnic Burman ‘opposition’ co-opted by the military controlled government, the other ethnic peoples face a ghastly choice: to be coerced into signing ‘peace agreements’ that will turn them into impoverished wage slaves on their own land in the service of Bamar or foreign crony capitalists; or continue to resist, and risk annihilation. Guy Horton, known as “The man who uncovered the truth about Burma”, has worked in Burma and its border zones since 1998. From 2002-2005 he researched the violations inflicted on the eastern ethnic peoples, receiving funding from the Netherlands government. His 2005 report Dying Alive and supporting video footage received worldwide coverage and contributed to the submission of Burma to the UN Security Council in January 2007. As result of the report, the UN Committee on the Prevention of Genocide carried out an investigation and placed Burma Myanmar on the Genocide Alert list.